I sometimes wonder why God even bothers with us. Think about it for a moment. We lie, cheat, steal, kill, rob, defame, abuse, sin and more importantly, we sometimes mistreat God. But even after all this, He still shows up. He still provides. He still heals. He still glorifies. He still sanctifies. He still protects. He still … Then it donned on me. God doesn’t do what He does for us because of us, He does it because it is His reputation on the line. We are His namesake, born in His image and made in His likeness; are we not? This means, it isn’t about us. This is why He continually pulls out of our mess and clears our name. This is why He can hold back His hand of anger against us and forgive us instead. This is why He can favor us when we know when should be forgotten. This is how He can use us today even when we let Him down yesterday. This is why He will come and get us from the place He told us not to go. It is not about us, He has a reputation to uphold. When God got ready to slay the Israelites, Moses intervened and said in Exodus 32:12, “Why let the Egyptians say, ‘Their God rescued them with the evil intention of slaughtering them in the mountains and wiping them from the face of the earth’? Turn away from your fierce anger. Change your mind about this terrible disaster you have threatened against your people!” And God relented. Why? 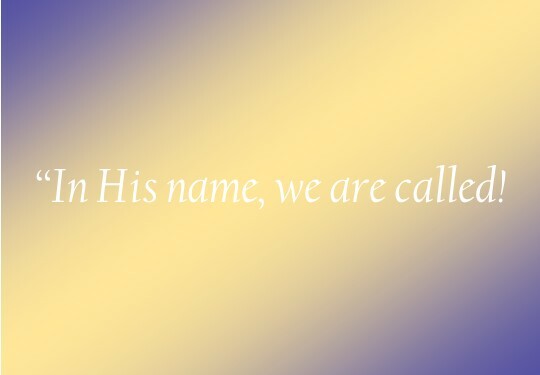 Because it is His name on the line.